Following the federal government’s designation of a 5,025-square kilometer Northern and Southern Resident Killer Whale critical habitat (CH) zone off the southwest coast of Vancouver Island, 17 Island Chambers of Commerce have united to protect the marine-based tourism on which they depend and urge the Department of Fisheries and Oceans to carefully weigh potential management measures that could harm their coastal communities, destroy thousands of business and jobs, and impact tourism revenue across Vancouver Island. In an effort to protect their communities, the Chambers of Alberni Valley, Bamfield, Campbell River, Chemainus District, Comox Valley, Duncan-Cowichan, Ladysmith, Greater Nanaimo, Parksville & District, Port Hardy, Port McNeill District, Port Renfrew, Qualicum Beach, Sooke, Tofino-Long Beach, Ucluelet and WestShore have united to form a coalition called Thriving Orcas, Thriving Coastal Communities. 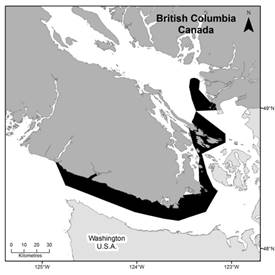 The critical habitat zone extension off the southwest coast of Vancouver Island is a 5,025-sq.km area that extends from the entrance to Juan de Fuca Strait to Quisitis Point (north of Ucluelet), and approximately 60 kilometres out to sea. The CH Zone includes La Pérouse Bank and Swiftsure Bank, which are vital areas for recreational fishing. According to the Pacific Whale Watch Association (PWWA), the Canadian whale watching industry generates $35 million in annual revenues, which provides an economic impact of approximately $250 million. Thriving Orcas, Thriving Coastal Communities enthusiastically supports DFO’s decision to conduct further research on La Perouse Bank and Swiftsure Bank to address gaps in science and seeks further opportunities to actively work with DFO to ensure we apply the best available science to guide future management decisions in a collaborative process with key experts and stakeholders. 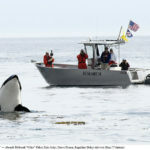 To that end, we have developed a suite of recommended management measures that offer science-based protection for whales, and collaborative strategies to help augment the scientific community’s understanding of key issues that contribute to a robust and thoughtful recovery strategy for SRKW. 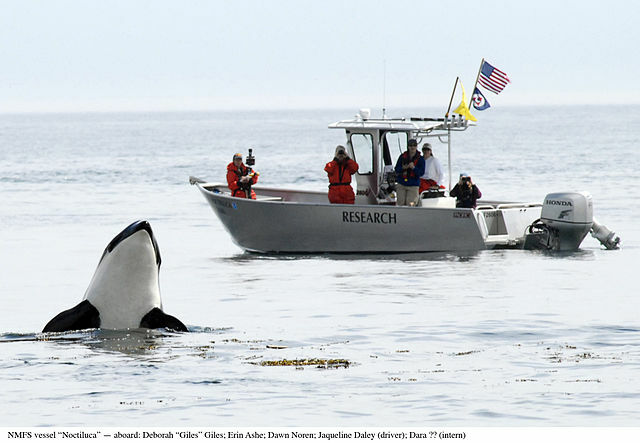 With a 200-metre avoidance zone already in effect for killer whales, we look forward to engaging with DFO and leading cetacean experts to ensure any policy evaluations or changes reflect the latest scientific research and the knowledge of local stakeholders. With guidance from a multi-sectoral CH Advisory Group, establish Special Management Zones that would identify with pinpoint precision specific small areas of high-use that would allow for special measures to be taken. Consider monitoring high-use areas and implementing short-term measures, such as vessel closures only in places and during times when SRKWs are foraging. Work with independent science advisors and stakeholder SME to develop effective monitoring protocols to actively measure management actions implemented in CH areas. Conservation fees are currently charged to recreational fishers, with all funds directed to the Pacific Salmon Foundation to fund conservation programs. Establish similar conservation fund fees for all stakeholder groups (Recreational fishing, commercial fishing, whale watching passengers). Increase existing recreational salmon conservation fees to provide more funding for salmon enhancement. (Funds created would be applied only to Chinook enhancement and habitat.